As a Proof of Ashokan inscriptions have also been recovered from Sopara, Buddhist text gives details that is was a prominent Buddhist area. In brief as per local statement This Stupa was constructed by a Trader named PURNA arround 2600 years ago. He was very famous trader of Soprara once during trade tour he visited a place called SHRAVASTI (now in UP) where he first met Shri Gautama Buddha, After listen some discourse from him he decided to take retirement form this world and he received initiation from Shri Gautama Buddha and become Bhikshu, he stay for some years in JETVAN in SHRAVASTI and take full study of DHAMMA. after that he return to his origin with permission from Shri Gautama Buddha. when he return ha bring Begging Bowl of Shri Gautama Buddha and build a Beautiful Vihara from Chandan Wood with eight Dwars (Doors). 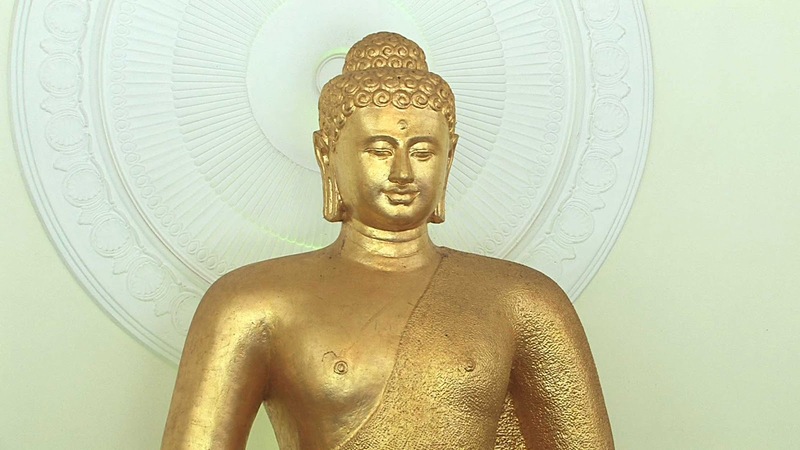 He Called Shri Gautama Buddha for opening of this VIHARA. Shri Gautama Buddha has visited this Vihara with his 500 Bhikshu's and stay for 7 days. Ashoka has Built this STUPA after 200 year of Mahaparinirwan of Bhagvan Shri Gautama Buddha. Son Mahendra and Doughter Sahgnmitra of Samrat Ashok has left for Shri Lanka from Soara port with a branch of Bodhi Vriksha (tree).Samrat Ashoka has wrriren 16 inscriptions, 8th inscription was founded here by Pandit Bhagwanlal Indrajeetji in 1882 at during amendment near Bhatela Lake, Sopara. 9th inscription was founded by Shri N.A. Gore Librarian of Asiatic Society Mumbai in the year 1956 from Bhuigaon and he also discover this Stupa by help of collector of thane at the same time. Privouslly this Stupa was Berried under the soil. During excavation ruins of a Buddhist Stupa were found. From the center of the stupa (inside a brick built chamber) a large stone coffer was excavated which contained eight bronze images of Maitreya Buddha which belong to the 8th-9th century A.D. The coffer contained a relic caskets, numerous gold flowers and fragments of a begging bowl. A silver coin of Gautami putra Satakarni was also found from the mound.Dr. Baba Saheb Ambedkar has also visited this place several times. Govt. of India has now Declared as Protected Monument Site, Now days Archaeological Survey of India is doing restoration work in full swing. A Rs 1 crore budgetary provision has been made by the VVMC for the development of the stupa and its surroundings in the financial year 2011-12. The MMRDA has provided Rs 10 crores for the centre, which is likely to be completed in two years. Another five crore has been given by the central government, pointed out corporator Umesh Naik.